Share Good Stuffs: Top 10 Reasons - Why People Start Drinking Alcohol ? Top 10 Reasons - Why People Start Drinking Alcohol ? Sometime we ask ourselves... Why do people drink? Many people drink alcohol for the effect that alcohol has on the central nervous system. It is both a depressant and a stimulant, and drinking can result in feelings of euphoria, disorientation or a pleasurable release of tension. People may drink simply to experiment with alcohol and judge whether or not drinking is for them. We’ve all probably experienced some type of peer pressure in our lives. In fact, almost everyone wants to fit in. Many people try alcohol when they are in a social setting where everyone else is drinking in order to feel accepted and part of the environment. Environmental factors, such as the influence of parents or older people, play a role in initial alcohol use. For example, parents who drink more and who view drinking favorably may have children who do the same. Adolescents who are in the process of puberty (sexual maturation) and who experience more independence and freedom may drink alcohol as part of the dramatic physical, emotional and social change of adolescence. In other words, drinking is a part of self-exploration. Likewise, young people in college or university may drink alcohol during this time transition to adulthood in order to explore their own values and beliefs about alcohol. 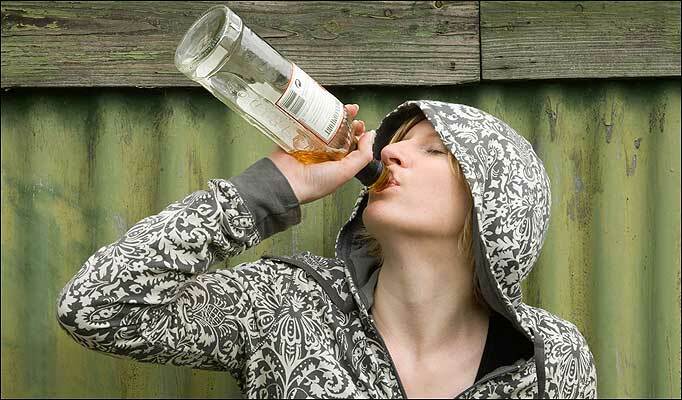 Some new drinkers may use alcohol as a way to escape or cope with problems. Alcohol may temporarily relieve stress and focus attention elsewhere, but the problems remain well after you stop drinking. Today alcohol is widely available and aggressively promoted through TV, film, radio, ads, and the Internet. This normalization makes alcohol use socially acceptable and normal, especially in countries or places where drinking is a part of life, like Ireland. Why do the Irish drink so much? This culture, for example, has drinking ingrained into the masses. People who expect drinking to be a pleasurable experience are more likely to drink than people who do not. So, the expectation that alcohol will be fun and enjoyable may actually cause a person to start drinking. Alcohol is pretty easy to get, even for teens. Family and friends are the primary sources of alcohol for kids who drink, whether knowingly or unwillingly. Local alcohol retailers may also accept fake IDs for underage drinkers. So relatively speaking and in comparison with other illicit activities, alcohol is accessible to most anyone.